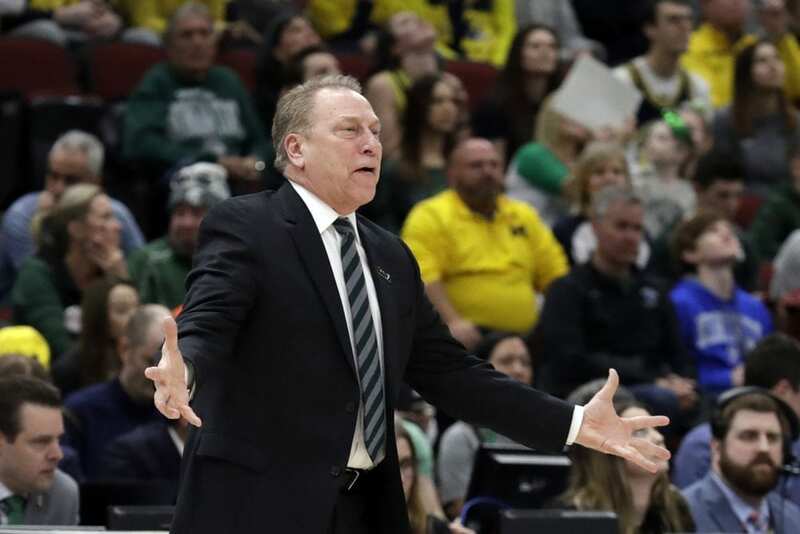 CHICAGO (AP) — Matt McQuaid scored a career-high 27 points, Cassius Winston converted the go-ahead layup in the closing minute, and No. 6 Michigan State rallied to beat No. 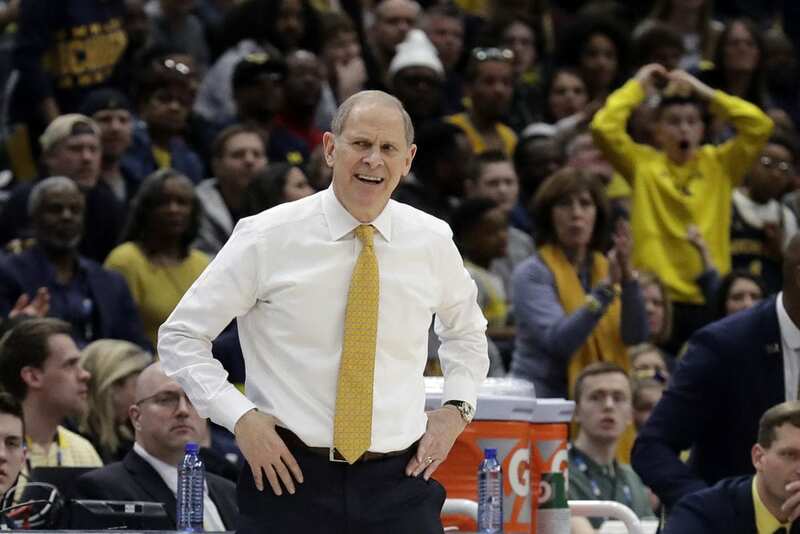 10 Michigan 65-60 for its sixth Big Ten Tournament championship on Sunday. 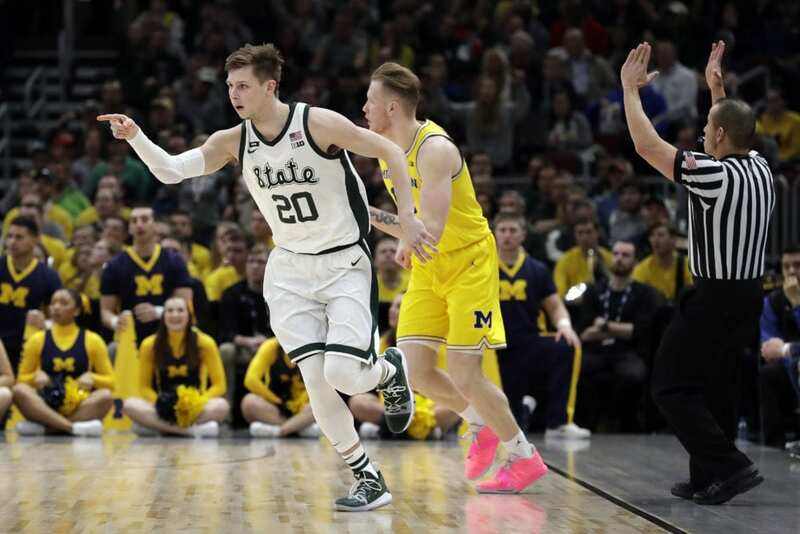 The top-seeded Spartans (28-6) rallied from a 13-point deficit in the second half and scored the game’s final 10 points to capture their first championship since 2016. 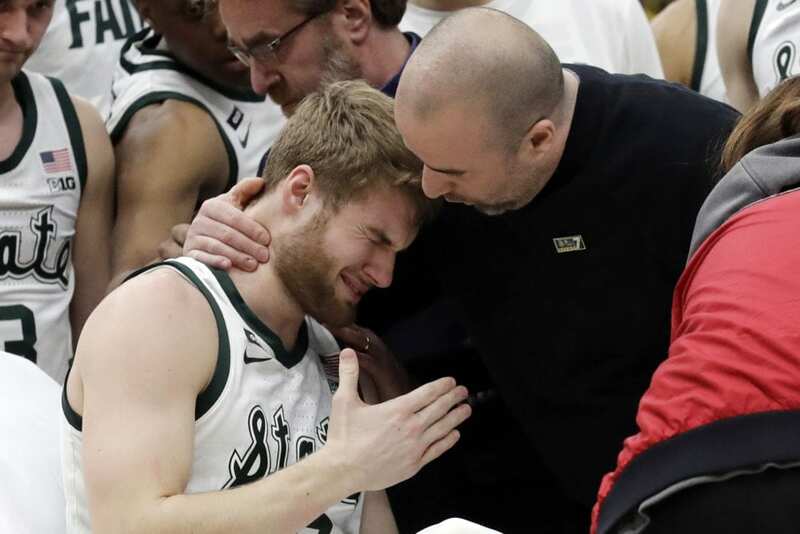 No other program has won the tournament as many times as Michigan State, and this one was particularly sweet. The Wolverines were up 60-55 after Livers hit a 3 with 2:29 left. But McQuaid answered with one of his own to start the game-ending run and Xavier Tillman made a tying layup for Michigan State. Henry made a free throw and missed hit the second, making it a three-point game. 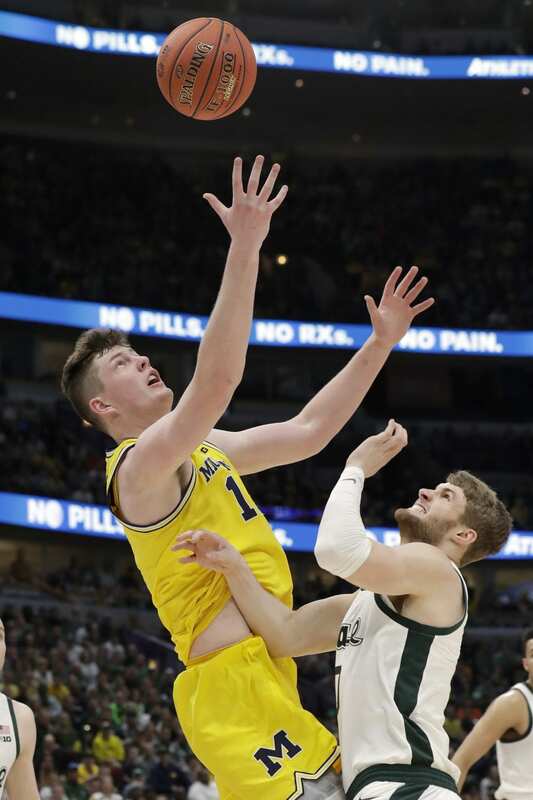 Poole then appeared to get bumped by Winston — Michigan State had a foul to give — as he launched a long 3 off the dribble, but there was no call. The Spartans’ Kenny Goins hit two free throws to make it 65-60 with two seconds left. 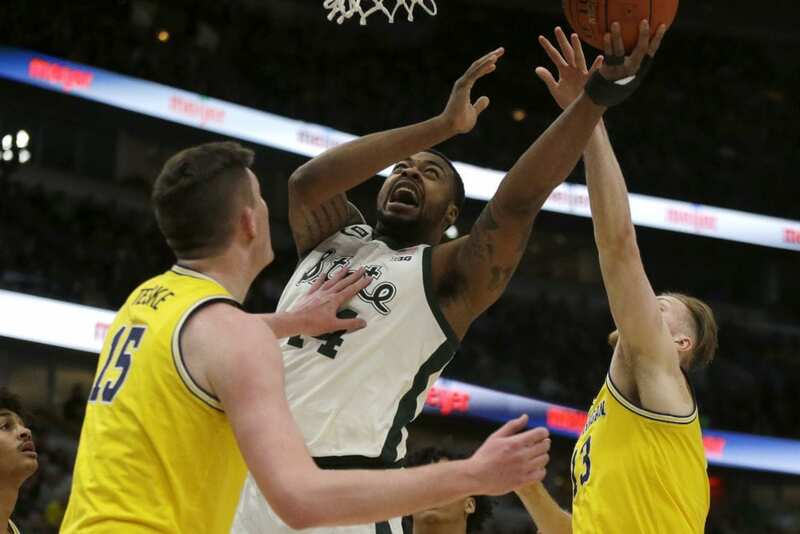 Be the first to comment on "McQuaid, Winston Lead Michigan State Over Michigan 65-60 For Big 10 Tournament Championship"